The CRM system requires a special server setup, usually not provided as standard from any Hoster. Please read the following instructions carefully and make sure that your server meets ALL requirements. There are no shortcuts. The following PHP Configuration is required. Now unzip the download archive into the destination folder of your web server. The following files and folders require read and write access (recursive). These must be set for the user under which the web server process is running (www-data or httpd or apache). 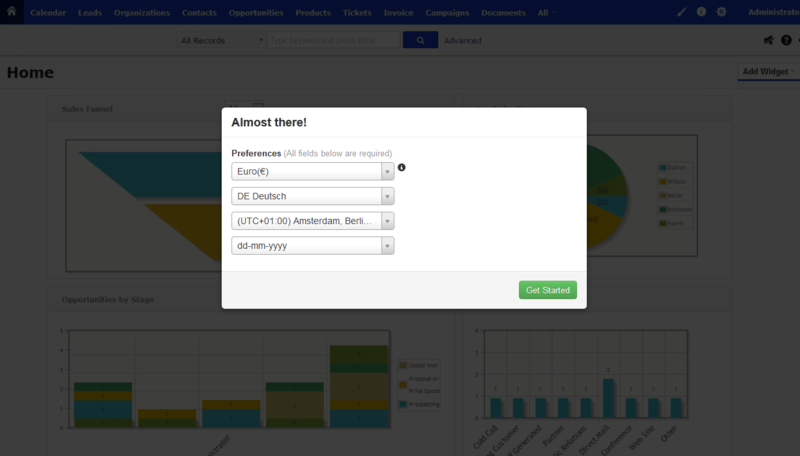 Note, that the CRM uses so-called Ajax calls targeted "towards it self". For the web server, these calls appear as standard http requests. Due to the content/structure of these calls, it could happen that these calls are blocked by a Web Application Firewalls (WAF). As a result, some functions of the CRM might not work correctly. If you experience any problems deactivate the WAF temporarily and / or have a look at the corresponding logs to add the necessary rules to the WAF configuration. Now open your browser and call the installation directory, e.g. Important: You must use "https" for an installation! 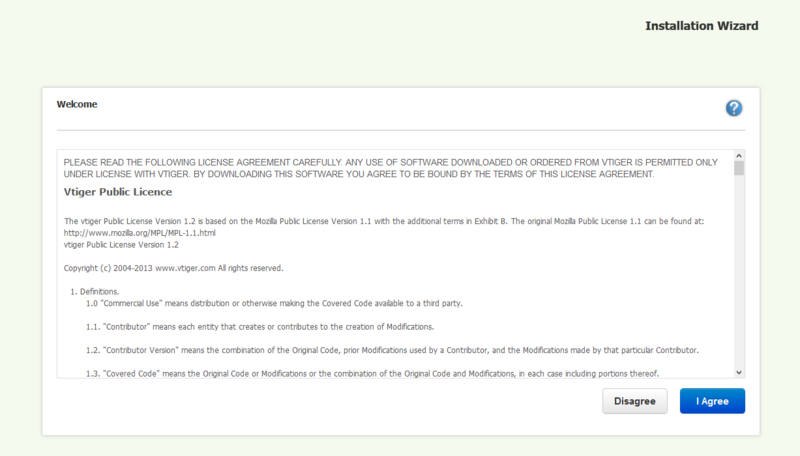 Click on "I Agree" to accept the license terms. Here are some of your PHP settings checked. If no errors occur, click Next. 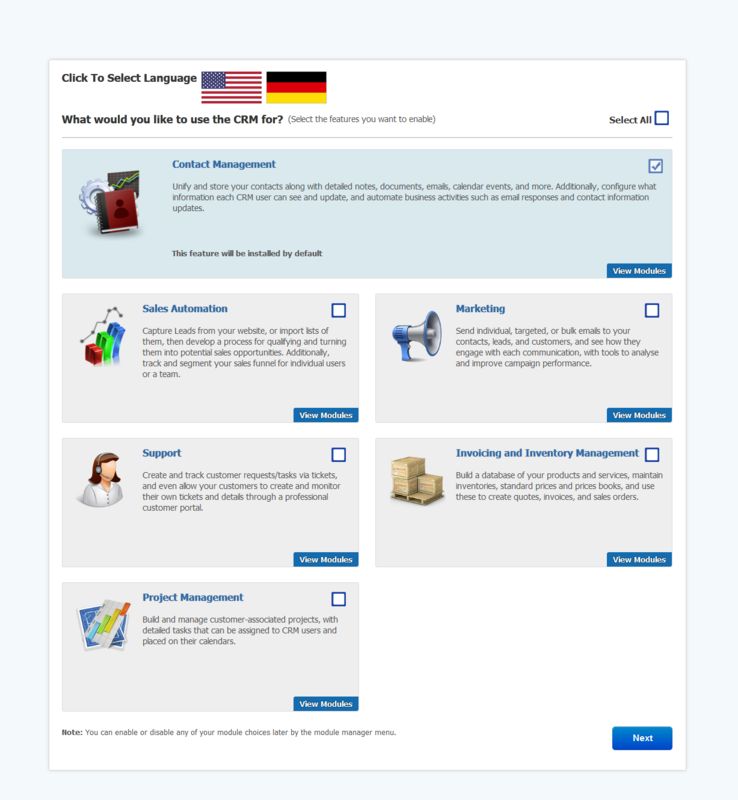 Enter the data for your MySQL server and administrator account. Here you can select the basic configuration of the modules of your CRM depending on your requirements. 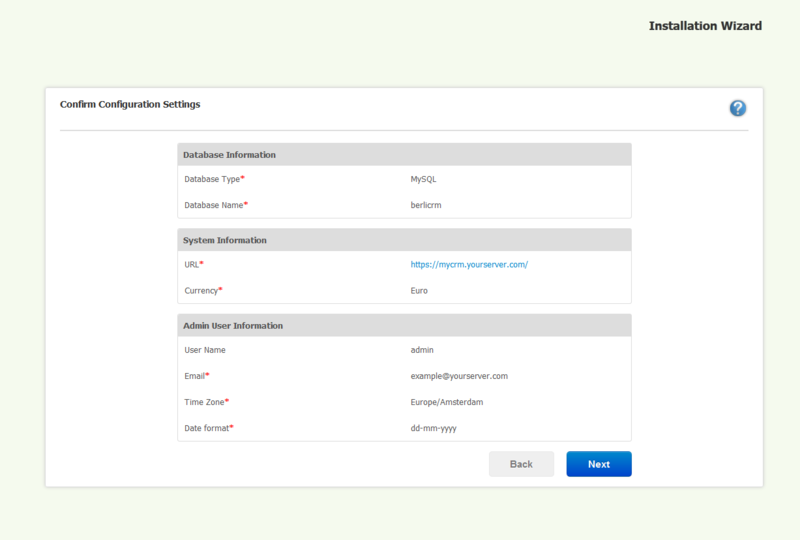 However, you can also switch individual modules on and off later in the CRM's Module Manager. 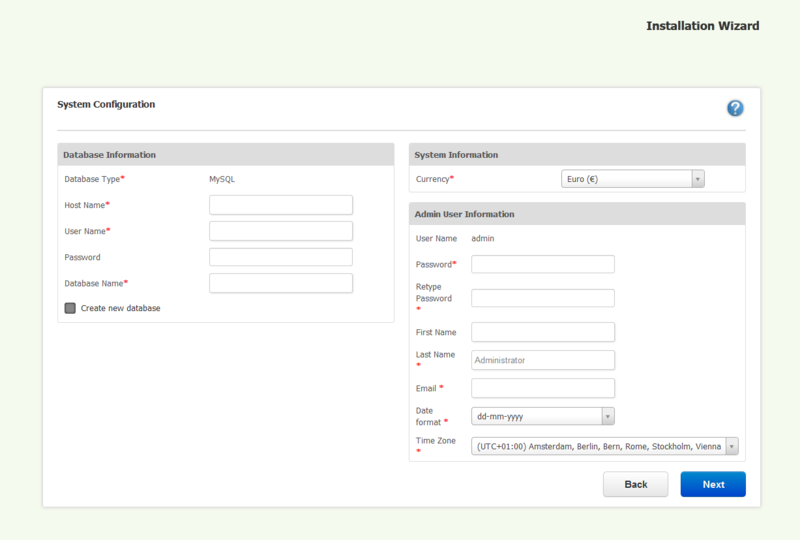 Finally, please select the default currency, language, time zone and format of your newly created administrator account. This completes the installation. 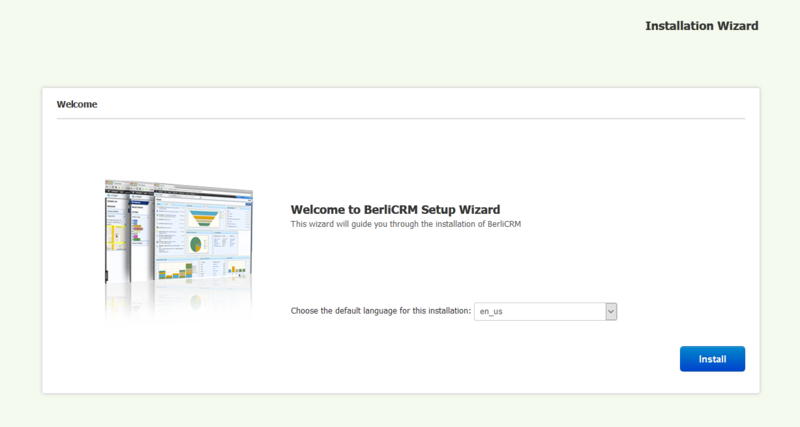 Enjoy working with berliCRM!